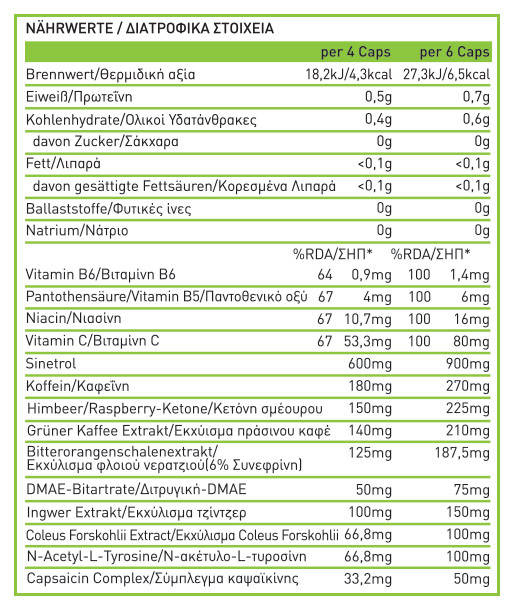 Studies conducted in numerous universities have proved that ingredients like caffeine and green tea extract -when combined with a low caloricdiet- can effectively decrease the accumulated-stored body fat. The results are tangible in just 8 weeks provided that you follow amoderate intensity training program. Cybernetics’BURN consists of a very potent combination of ingredients that rapidlyraise energy levels, support concentration and decrease body fat. All these ingredients are contained in every BURN capsule. 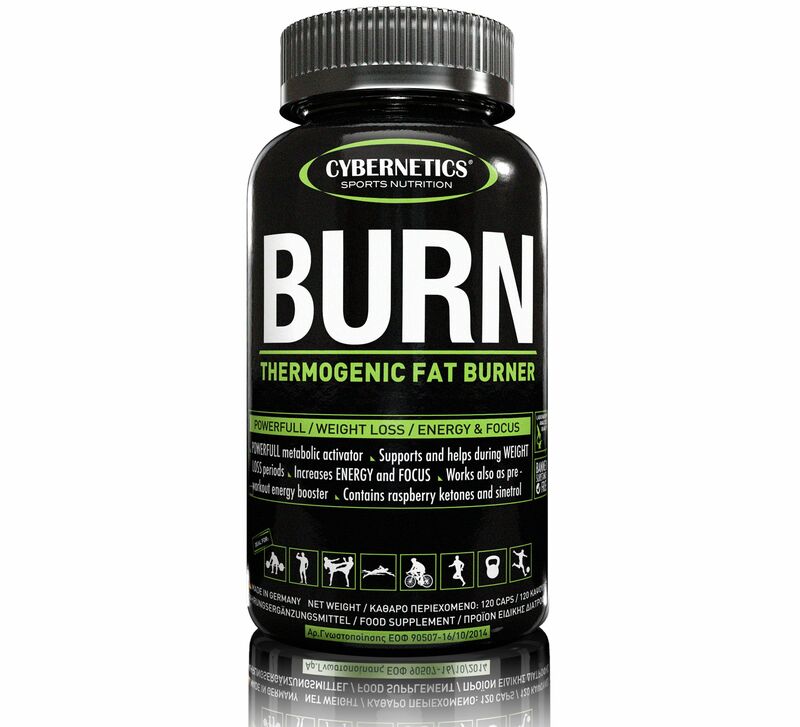 Cybernetics’BURN contains 270mg of anhydrous caffeine per dose, which increase salertness, energy, performance and training intensity while, at the same, time it triggers your system to start all procedures necessary for fat oxidation. Cybernetics’BURN contains rhodiola rosea extract which boosts physical and mental performance, decreases fatigue and keeps energy levels high. Rhodiolarosea extract combats mental, labor and physical stress contributingto physiological hormonal function of your system. Experience the unique feel of body fat burning, each and every day.